At Lower Barn Design Studios, we believe the heart of the home is the Kitchen. That’s why we make it our responsibility to ensure it reflects your personal style and tastes. 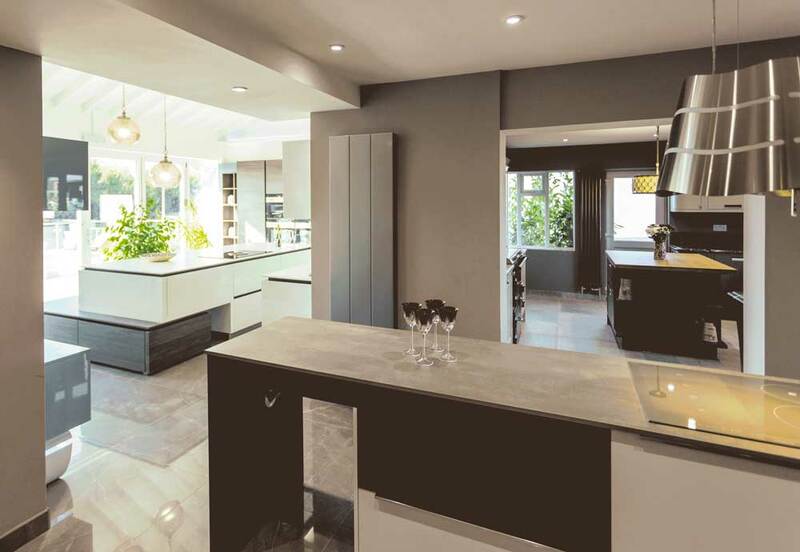 Working with advanced, quality companies Quooker, Bora, Italgraniti and more, we aim to create the full experience of a smart, modern or traditional Kitchen we are proud to hold responsibility for. Run by an independent family owned business, we put design above all, working with you to ensure that your dream kitchen becomes a reality. Located in Rayleigh, Essex, we showcase varied styles of Kitchens to suit the style of each and every individual. Whether you’re looking for sleek contemporary, traditional or looking to make improvements to your current kitchen, we’ve got you covered. Newly introduced to Lower Barn Farm in 2016, our design studio showcases a variety of innovative sectors ranging from the essential to the latest hi-tech Wi-Fi enabled kitchen appliances. Our specialist design team of 80 years’ experience and our in-house instalment team ensure kitchens are precisely measured to fit your space. With our experienced surveyors overseeing the whole process from design to completion. What’s more to ask for from a Kitchen Design Studio? Located in our showroom, we have new-age hobs on display, Bora and Siemens, seamlessly blending in with our solid worktop surfaces. Available in Quartz, Granite, Marble and Corian, the variation of surfaces matches the 20+ paint colours, range of ovens (Siemens being Wi-Fi controlled) and hob types and overall design of a Lower Barn kitchen. Whether you’re visiting for a drop-in, a pre-booked appointment with our kitchen design specialists of 80 years’ experience, or just visiting for a brief look-around, you won’t be disappointed with what you see. 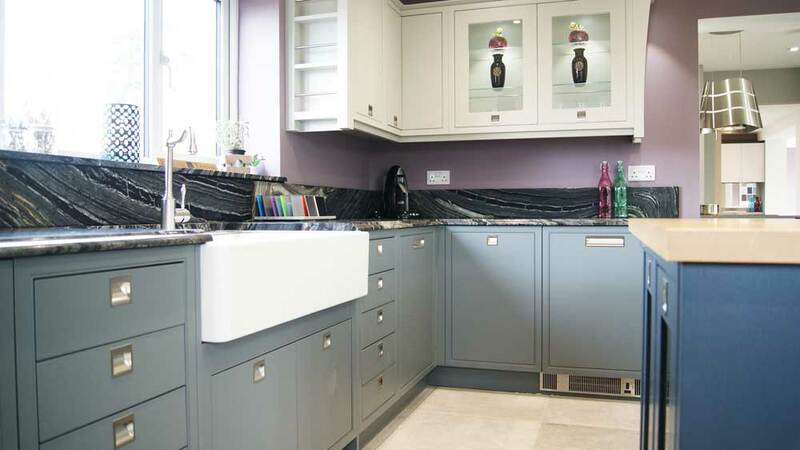 Aside from kitchen renovation and remodelling, we also give comprehensive advice on how to look after your kitchen and for your convenience supply products that will enable you to do so. We never stop wanting to help you and will always be on hand if needed. Simply put, Lower Barn Design Studios has it all! At our Kitchen Design Studio, we take pride in providing extensive information and tutorials to customers. Try out your favourite recipe using our live enhanced appliance collection. 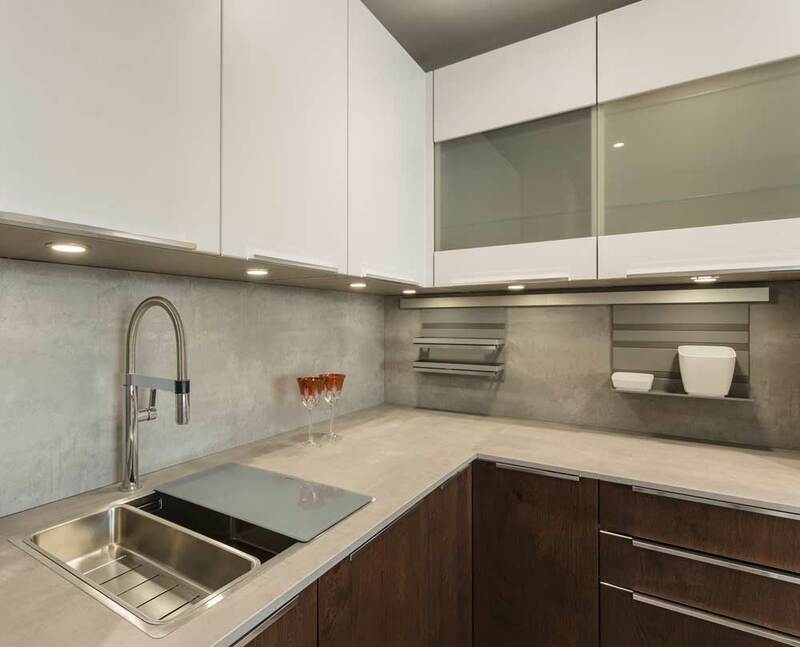 Detailing the features of each appliance, whether it be wi-fi controlled, touch-sensitive or sensory, we’ve got something to wow you and leave you wanting a second and third booking with our kitchen design specialist. Now that you’ve got a brief introduction to what we do and who we are, why not take the time to find out more before coming to visit us! Our company thrives off being of use to our customers. Try out your favourite recipe using our live enhanced appliance collection. Book your appointment now on our website https://www.lowerbarnkitchens.com/book-now/or visit our Facebook and Twitter pages for more information. We want to turn your dream kitchen into a reality.